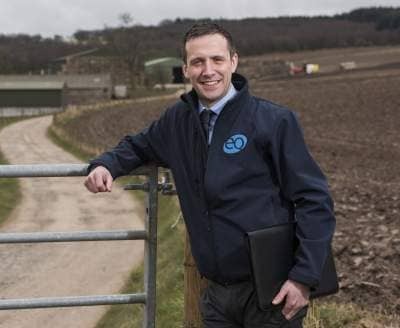 Mark Smeaton (31), who specialises in agricultural services, takes up his position this week, exactly one year after the firm merged with former Fife firm Carters. Mark, who has a keen involvement in the family farm, is based in the Forfar office. He joined the practice from Forfar Academy and undertook his examinations with the Association of Chartered Certified Accountants, qualifying seven years ago. Over the course of his career, Mark has fully committed himself to the development of EQ and plays a prominent role in the promotion of the firm’s agricultural services in particular. Mark is also fully accredited with LANTRA to deliver whole farm review services through the Scottish Government’s Farm Business Adviser Accreditation Scheme for Scotland (FBAASS). Mark is a married father-of-two, and lives in Letham, Angus.